Karma Photography is a family business founded by me, Tira Manning, I am the owner and primary photographer at Karma Photography. I'm 43 years old with two beautiful daughters, named Courtney and Storm. My very supportive husband of 17 years, Nick is also my business partner in another company we own as well as a small venture created for our girls named "Rainbows, Unicorns, & Lollipops. Nick and I have been partners in business for most of our 18 years together. My daughter Courtney is also a photographer at Karma and brings her very own originality to photo shoots. In life and in business, it is to do good by others, giving back whenever possible that yields in good Karma. We at Karma Photography strongly believe in Karma, whether good or bad and live by the "Pay It Forward" system. I've been photographing for the last eight years but have enjoyed photographer since I was a teenager. Karma Photography has been in the making for years and I finally decided it was time after the urging of many friends and family members for several years. It is my hope that you allow Karma the opportunity to capture your special moment whether an engagement, birth, senior photos or just because. 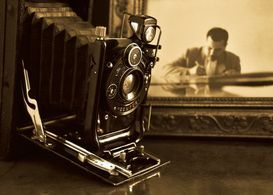 Photos are memories of our past. They are a split second of life that has been captured, freezing a special moment in time so that you can cherish forever. Let us capture your personality and bring out the best in you. I love capturing images that are edgy and true to life. It's like documenting life through photography and well, photography last a lifetime. I guarantee a relaxed, stress free photo session with your family, friends, or special event. I travel throughout Georgia to various venues to do photo shoots for clients. Feel free to contact me with any questions you may have relating to our photo sessions and packages offered or your interest in scheduling an appointment.